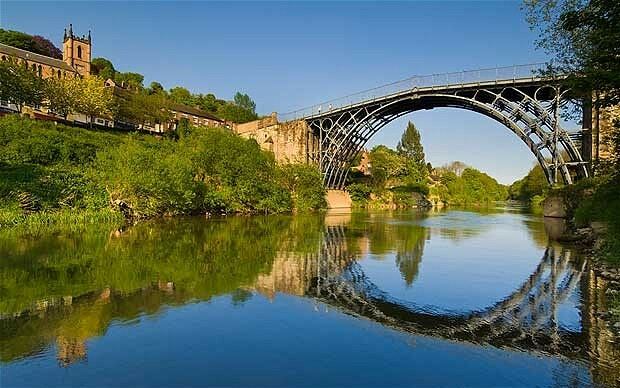 Our May walk will take us to Ironbridge and is 5-6 miles long. We will start at the Green Wood Centre and walk along the side of the River Severn then cross the World Heritage Site Ironbridge where you’ll be able to see the recent restoration work. We continue uphill then it flattens off across farmland and on to National Trust property Benthall Hall. We’ll have a short snack / butty stop and then follow the Shropshire Way and old railway track which will return us across the famous bridge. Then along the Wharfage and back for tea / coffee and cake, or more at the Café. The walk is suitable for dogs but there could potentially be livestock in the fields at the time of the walk. Something to sit on is advisable for our snack stop. Please note, appropriate footwear is needed as the paths will be muddy, even if there’s a heatwave! Meet at the usual place or contact us for details on how to go directly to the start of the walk. We are still collecting for Women’s Aid, and all donations you can make (women’s or children’s clothes, toys, cash) will be welcome. This entry was posted in Boot Women, Walks and tagged Birmingham, Boot Women, Greenwood Café, Ironbridge, Lesbian walking group, lgbt, Midlands. Bookmark the permalink.